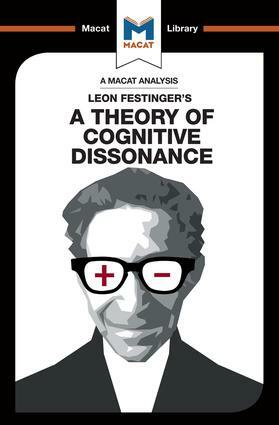 Leon Festinger’s 1957 A Theory of Cognitive Dissonance is a key text in the history of psychology – one that made its author one of the most influential social psychologists of his time. It is also a prime example of how creative thinking and problem solving skills can come together to produce work that changes the way people look at questions for good. Strong creative thinkers are able to look at things from a new perspective, often to the point of challenging the very frames in which those around them see things. Festinger was such a creative thinker, leading what came to be known as the “cognitive revolution” in social psychology. When Festinger was carrying out his research, the dominant school of thought – behaviorism – focused on outward behaviors and their effects. Festinger, however, turned his attention elsewhere, looking at “cognition:” the mental processes behind behaviors. In the case of “cognitive dissonance”, for example, he hypothesized that apparently incomprehensible or illogical behaviors might be caused by a cognitive drive away from dissonance, or internal contradiction. This perspective, however, raised a problem: how to examine and test out cognitive processes. Festinger’s book records the results of the psychological experiments he designed to solve that problem. The results helped prove the existence for what is now a fundamental theory in social psychology. What does A Theory of Cognitive Dissonance Say? Why does A Theory of Cognitive Dissonance Matter? Dr Camille Morvan is a pyschology researcher and founder of the psychological human resources company Goshaba. She has taught at Sciences Po in Paris and at Harvard University, as well as working at the École Normale Supérieure. Dr Alexander O’Connor did his postgraduate work at the University of California, Berkeley, where he received a PhD for work on social and personality psychology. Making the ideas of the world’s great thinkers accessible, affordable, and comprehensible to everybody, everywhere. With a growing list of over 180 titles across a broad range of subject areas, Macat works with leading academics from the world’s top universities to produce new analyses that focus on the ideas and the impact of the most influential works ever written. By setting them in context – and looking at the influences that shaped their authors, as well as the responses they provoked – Macat encourages readers to look at these classics and game-changers with fresh eyes.